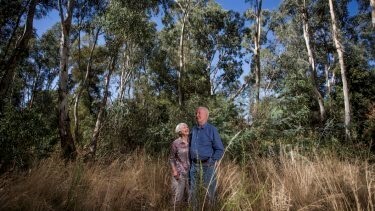 Connecting Country often hears concerns from landholders and other community members about the impacts of local fox populations. Here is some information about foxes in urban and semi-urban areas, and some tips about what you can do to help keep fox numbers under control and reduce their impacts on native wildlife and livestock. Foxes are one of Australia’s most serious pest animals and are often seen in townships and semi-urban areas, where their food sources are easy to come by. Foxes are known to prey on native animals and livestock, and are a huge threat to many of our threatened birds, mammals, and other wildlife. They have also been estimated to have an annual economic impact of over $227 million dollars across Australia. 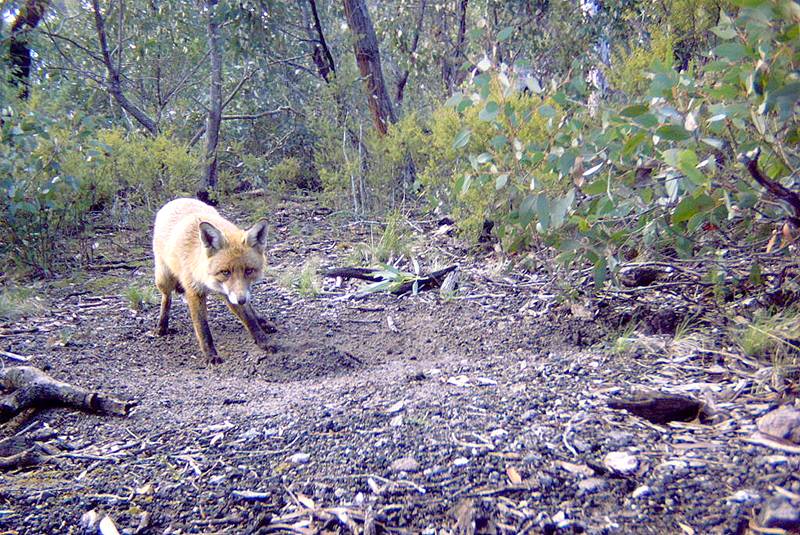 It may be hard to imagine, but fox densities are higher in urban and semi-urban areas than rural areas, with highest densities in Victoria existing in Port Melbourne! There are a limited number of control and deterrent methods available to landowners in urban areas, where poisoning and shooting are not an option. Harbour removal: Foxes often make dens under metal piles or blackberry and gorse bushes. Fallen timber can act as harbour, but it is also important habitat for lots of native wildlife, so be careful if you decide to move it. Den fumigation and ripping: This involves fumigating the den and then using machinery or tools to destroy the den complex (by a qualified contractor). Property hygiene: Ensuring food scraps, animal carcasses and pet food are secure will avoid attracting foxes. Exclusion fencing: Large and secure fencing to prevent foxes from entering your property. Guardian animals: Some producers have successfully used trained guard dogs (e.g., Anatolian shepherds, Maremma sheep dogs) to protect their flocks from fox predation. 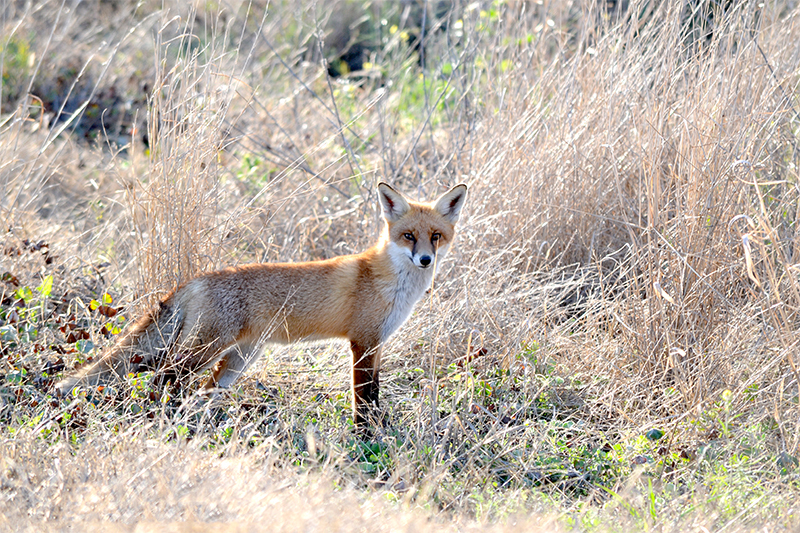 The presence of domestic dogs may discourage foxes from visiting suburban back yards. Unfortunately, fox populations are very resilient to conventional methods of control and can quickly breed up to infest areas where they have been removed. One issue with controlling or deterring foxes on smaller properties is that foxes are highly mobile and can travel up to 10 km per night. Another important point to remember is that rabbits form a major part of fox diets, therefore controlling rabbits on your property may also help to reduce the number of foxes in the area. For more information on invasive animals, please visit the Agriculture Victoria Website by clicking here.